Please Note: Due to complaints regarding my posts from various Rootsweb Mailing List Owners, I am restricted in being able to let researchers know of any NEW information I add to the site. Please bookmark the site & feel free to come back to check for any NEW offerings. If you would like to get notices of updates, please subscribe to the PAMCKEESPORT-L mailing list. Instructions are in my "Detailed History of McKeesport, Pa" section. If you are a listowner and don't mind me posting infrequent updates on your list, please let me know. I invite you to let other researchers know about this resource!! 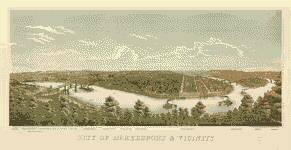 Please note: Most of the resources being offered on this page is material that I have linked to at "Historic Pittsburgh" site located at: http://digital.library.pitt.edu/pittsburgh/. If you prefer you can always bypass my site and go directly to the source. Go to the Text Collection. 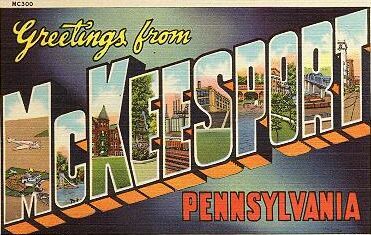 Put "McKeesport" in the search engine. Pictures of Life in 1900s - Western Pa.
and nothing else. If you prefer digest mode, you should send the command instead to PAMCKEESPORT-D-request@rootsweb.com. To unsubscribe, you should send the command "unsubscribe" to PAMCKEESPORT-L-request@rootsweb.com (if in mail mode) or PAMCKEESPORT-D-request@rootsweb.com (if in digest mode.) To switch from one mode to the other, you should unsubscribe from one and then subscribe to the other. There is no "no mail" mode -- if you want messages to stop, you should simply unsubscribe. To post to both PAMCKEESPORT-L and PAMCKEESPORT-D, messages should be sent to PAMCKEESPORT-L@rootsweb.com. Messages sent there will appear both places. This All Things McKeesport site is owned by George Jenkins.